Last Game: Last night at home against the Hershey Bears, the Penguins won 6-2. Oskar Sundqvist joined the likes of Erik Christensen and J-F Jacques with four goals in a game. 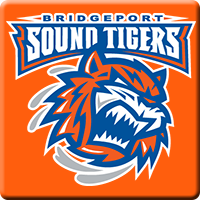 For Bridgeport, the Sound Tigers battled back in the third period to force overtime, where they are perfect this year, and won 4-3 in Binghamton. Eamon McAdamn improved to 7-0 in goal for Bridgeport. Last Meeting: November 26 in Wilkes-Barre, Tristan Jarry collected the first shut out of the season for the Penguins who won 1-0. Jean-Sebastien Dea scored the only goal of the game. Why you should care: It seems ridiculously fun when these teams play hockey together and I expect this evening’s game to be no different. Whoever scores first here tonight I think is going to have the easier game. Expect Tristan Jarry for the Penguins and probably Stephon Williams for Bridgeport in goal. Josh Archibald was hurt last night for the Pens so who slots in for his absence? Other Game to Watch: The Providence Bruins bring their league best 11 game point streak home to square off against the Hartford Wolf Pack.